A trio of Lumia devices are receiving the Lumia Denim update in Malaysia. The Nokia Lumia 525, Nokia Lumia 620 and Nokia Lumia 720 are in the midst of receiving the update to OS version number 8.10.14219.341. The Lumia Denim update gives users the ability to create live folders, do SMS merging or forwarding and set custom snooze times with the alarm app. Other improvements include faster downloading speeds when browsing mobile websites, and the ability to customize the Start screen by allowing limited access to specific games and apps. This is a capability that could be used by employers giving out Windows Phone handsets to employees. And with VPN, you can keep your privacy when using the internet over a public or home Wi-Fi connection. The update is being sent out OTA and since it is sent out on a staggered basis, it might not show up on your device for a few days. You can look for the notification manually by going to Setting > Phone update. Hope devices featuring on-screen buttons get the immersive mode option, I've seen it on a video for a Lumia 730. Did PA run a review on the Lumia535 already? 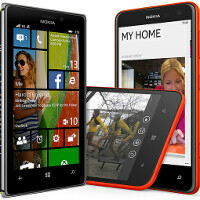 I want ti buy it as my first Windows Phone.